Anyone who has ever been present to watch Torrevieja’s Easter Week processions through the main streets of the town could not fail to have been impressed by the standard of our own Semana Santa celebrations and the amount of effort which goes into this annual event. 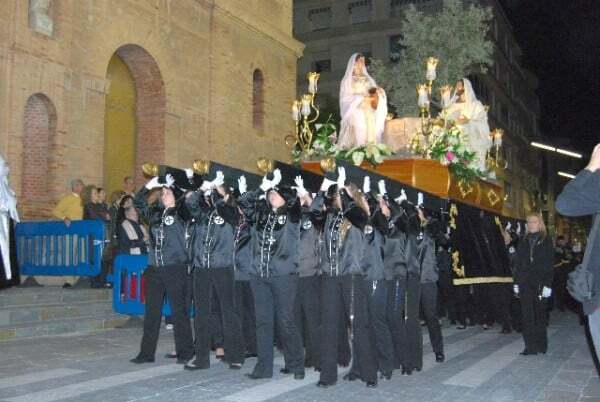 Of course, and at least for the time being, Torrevieja could not hope to compare itself with the spectacular Easter events which occur in such Spanish cities as say Seville or Valladolid but our own processions compare more than favourably with many other of the hundreds of towns, cities and villages throughout the country which celebrate this special annual event. Some of the pasos, or ‘floats’, reflect in most cases the expert work of some of Spain’s best known artists and, indeed, the investment by local people who maintain a pride in the tradition of Easter Week. The pasos come about through the uniting together of a group of local people who form themselves into what is known as a cofradia. Like a kind of club or association of local residents, they enjoy a social side of getting together with the aim of raising funds to pay for the paso themselves, or the additions and improvements which are carried out each year. Indeed, one of the pasos housed during the rest of the year in the town’s Semana Santa museum reflects the investment of around 30 or 40 thousand Euros over the years! After a few evenings of practice in and around the streets near to the museum (behind Restaurante Los Arcos), the paso is taken down to the Inmaculada church ready for its outing (or outings) during the Easter Week processions. The people who carry the pasos proudly on their shoulders, are called the Costaleros. 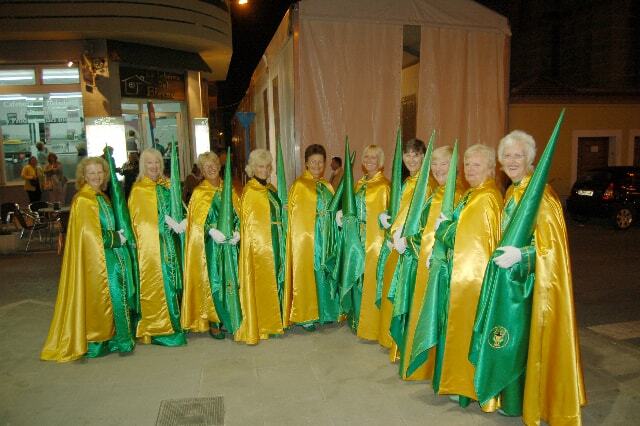 In some cases, more than a hundred men are required to lift the float, in others, as in one case in Torrevieja, the Costaleros are a group of around forty or fifty local ladies. In most cases, they are local residents who maintain a pride in their town and its traditions and, in all cases, they are people who are keen to participate for whatever motive. No doubt, some of the Costaleros are deeply religious neighbours who are motivated by their beliefs and the true meaning of Easter. However, I suspect, with respect to them all, that the great majority are just local residents keen to proudly participate in the culture of our town of Torrevieja and to maintain its traditions. Perhaps, for others, the social side of becoming a Costalero is the main attraction; in any case, their reasons are not important. However, up until now, I doubt that there has been one single ‘non-Spaniard’ who has proudly carried a paso shoulder high through central streets during Easter Week and I would bet that the majority of them are ‘torrevejense born and bred’! So, in such a cosmopolitan town as ours, and as more and more new neighbours arrive from other parts, who will carry on this great Easter tradition for our future generations of mixed race? In what is undoubtedly a unique initiative in the whole Catholic world, and representing a genuine effort to offer ‘us foreigners’ the welcoming hand of integration, our local Councillor for Culture, the young and dynamic Eduardo Dolon, together with the president of the central committee of Cofradias, have offered a chance for us ‘non-Spanish’, even ‘non-Catholic’ residents, to participate in next year’s Easter processions directly! And we don’t even have to start from the beginning with raising the substantial funds needed to provide our own Paso. Torrevieja boasts an attractive Easter float which, similar to many others throughout Spain, represents the part of the Easter story of Jesus Christ praying in the ‘Garden of Olives’. It is, throughout the year, one of the principal displays in our Semana Santa museum. 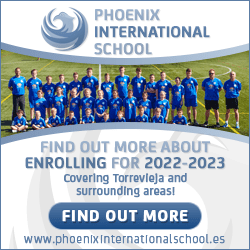 The idea of the Councillor and the Chairman of the Cofradias committee is that we, that is to say the non-Spanish community resident in Torrevieja and surrounding areas, should have the opportunity to actively participate. ‘The Garden of Olives’ float is available to us for next Easter should we wish to take up the offer!! Apart from being a wonderful opportunity for non-Spanish residents of whatever nationality or religion to participate actively in one of Spain’s and Torrevieja’s oldest traditions, I am certain that, if it were to receive sufficient support and therefore convert the idea into a reality, Torrevieja’s ‘Garden of Olives’ float, would be sure to receive massive public attention, probably throughout all Spain! The invitation is open to Catholics, non-Catholics, Christians and even non-Christians, in fact, anyone at all who would like to join in the fun of participating in the town’s Easter processions and carry on one of Torrevieja’s great traditions. Torrevieja can boast to hosting at least one fiesta or festival every month of the year with the two most important being July’s Habaneras and this month’s Semana Santa, or Easter Week processions. Famous throughout Spain, we all have visions of large floats with sculptures of Christ upon them being carried through the streets and Torrevieja is no different except that the city was the first in the world to allow an International, non-denominational Cofridia to participate in the celebration.